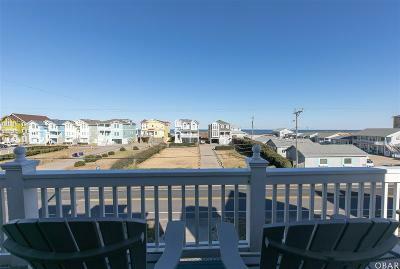 LOCATION, LOCATION, LOCATION...NOT TO MENTION OCEAN and SOUNDS VIEWS!!! 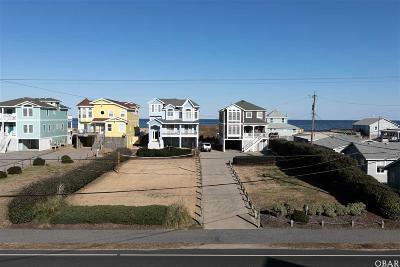 This beautiful home is ideally located on the corner of Finch Street and Highway 12, and has INCREDIBLE Ocean Views with the beach just about 100 yards away, as well as Sounds Views from the Rear Decking and Screened Porch! 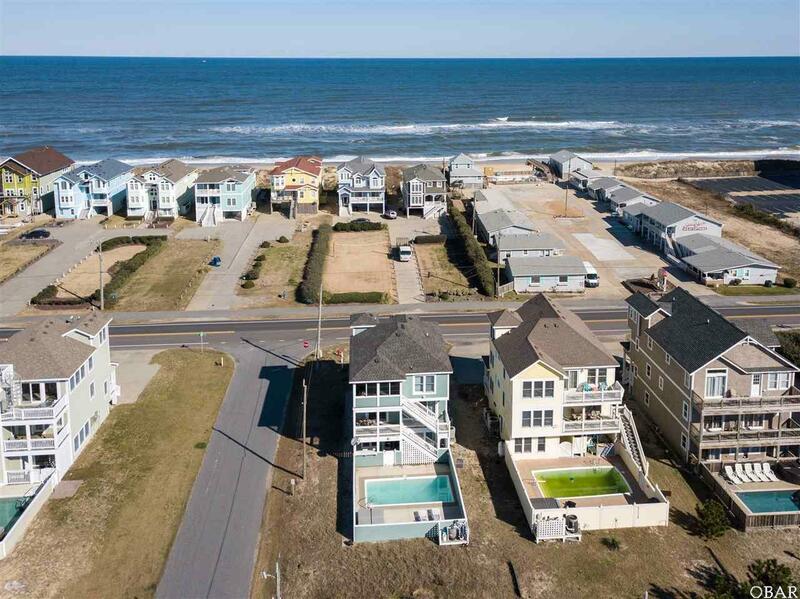 There is an additional dedicated private beach walkway for Pebble Beach Shores owners approximately 250 ft. away! 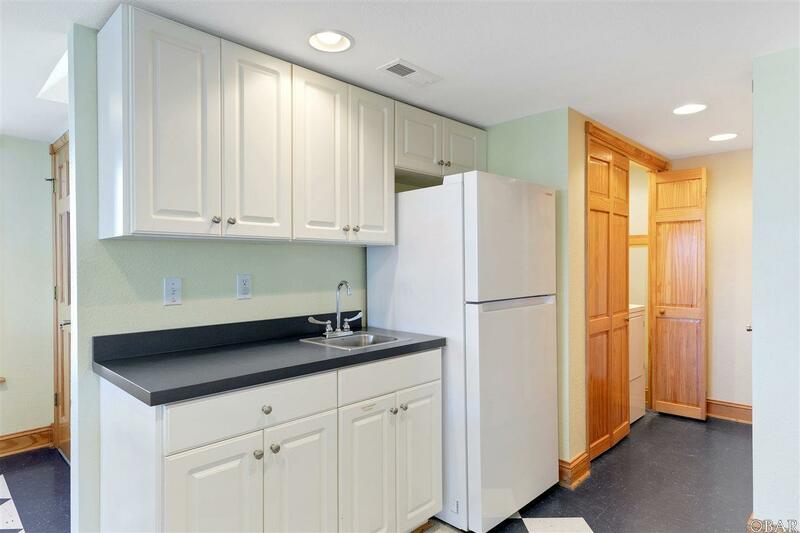 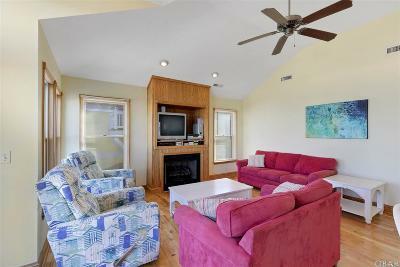 Only Rented during the Prime Summer Months, with owners taking time as well, so rentals have enormous room to GROW! 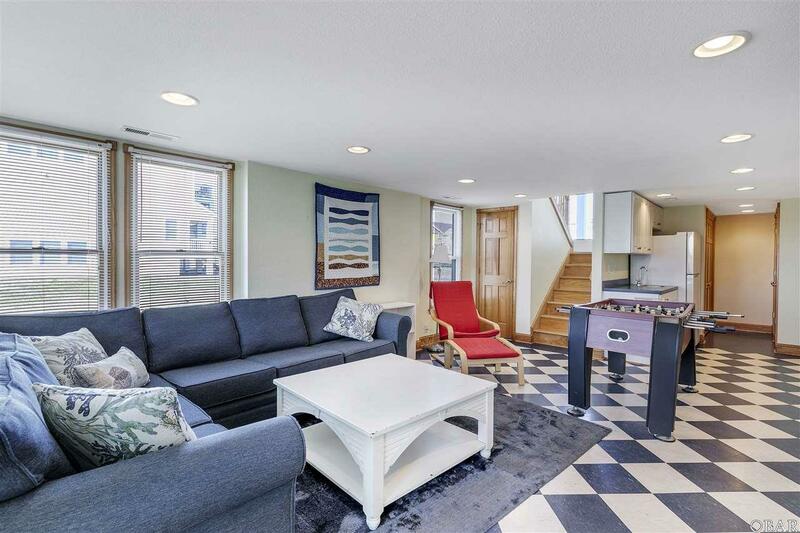 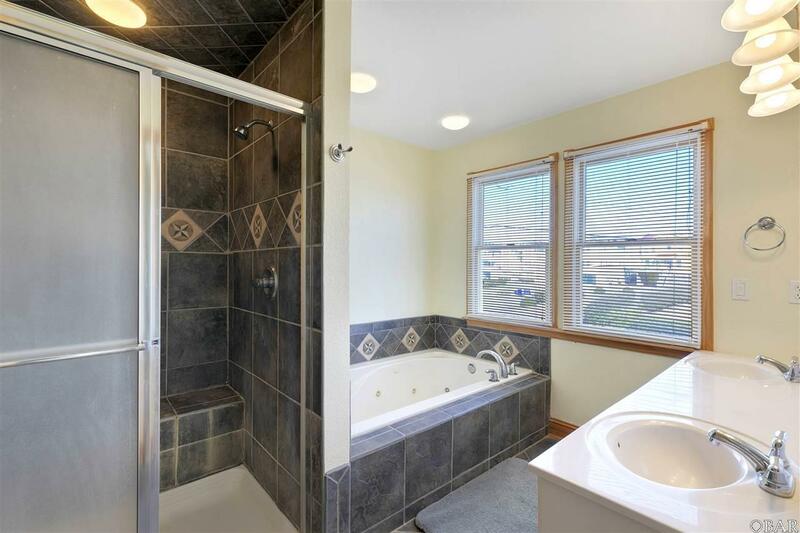 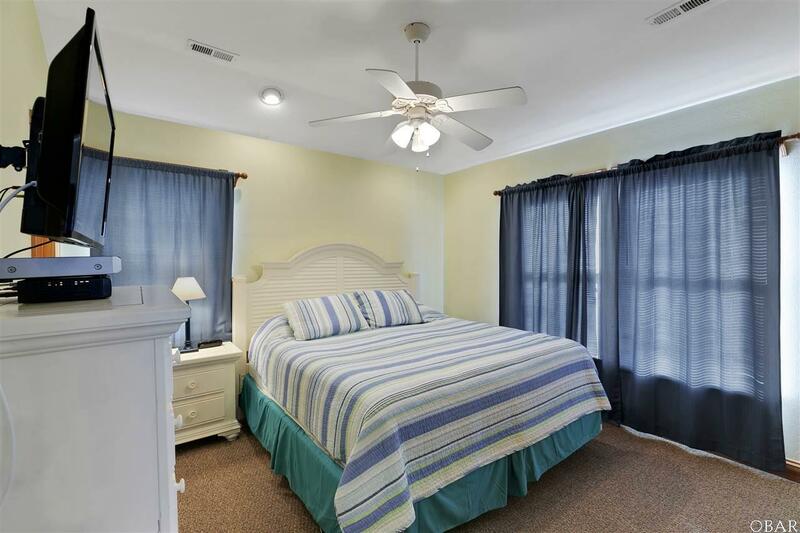 The layout is also perfect with 4 Master Suites including a King Master on the Top Level as well as 1 King and 2 Queen Master Suites on the Mid Level. 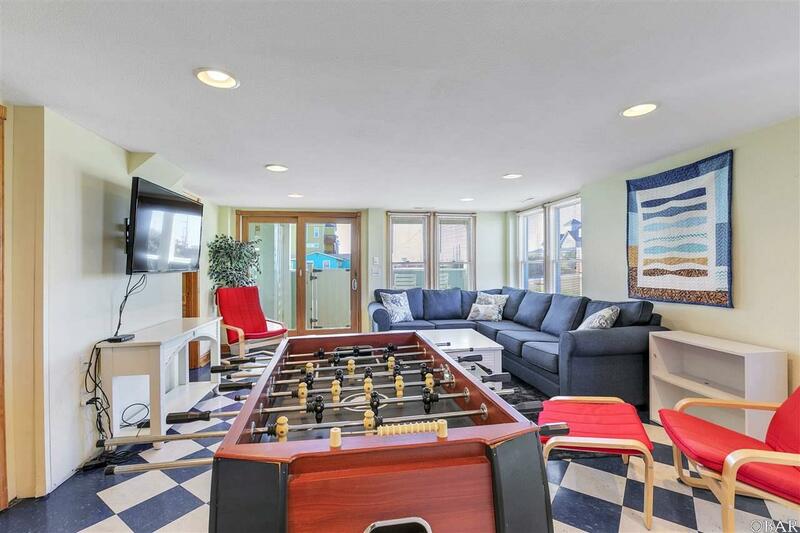 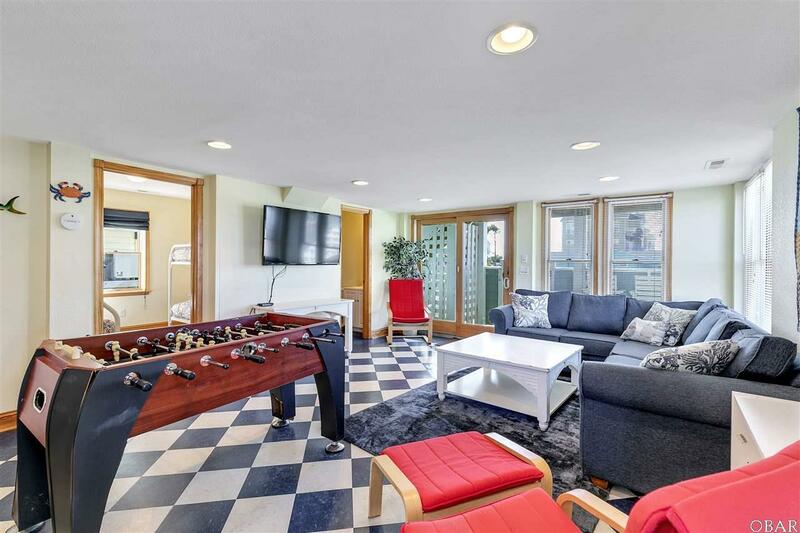 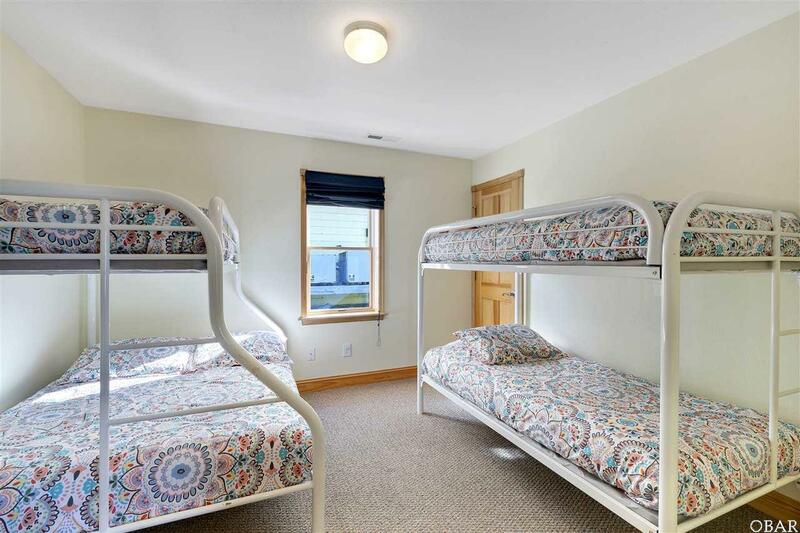 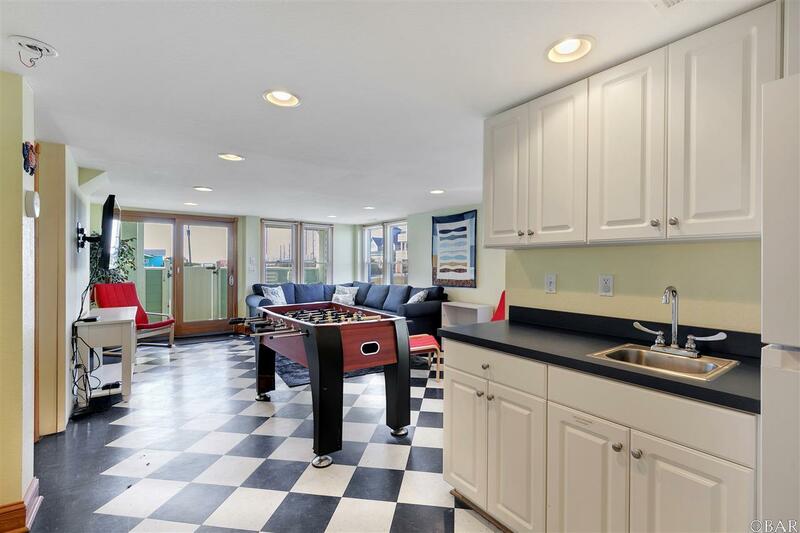 The Ground Level offers a Bunk Room and spacious Game Room with Foosball and a large Sectional Sofa and opens to the Private Outdoor Pool and Hot Tub area. The top level boasts an open plan Kitchen, Dining and Living area with the entire space capturing the gorgeous Ocean Views. 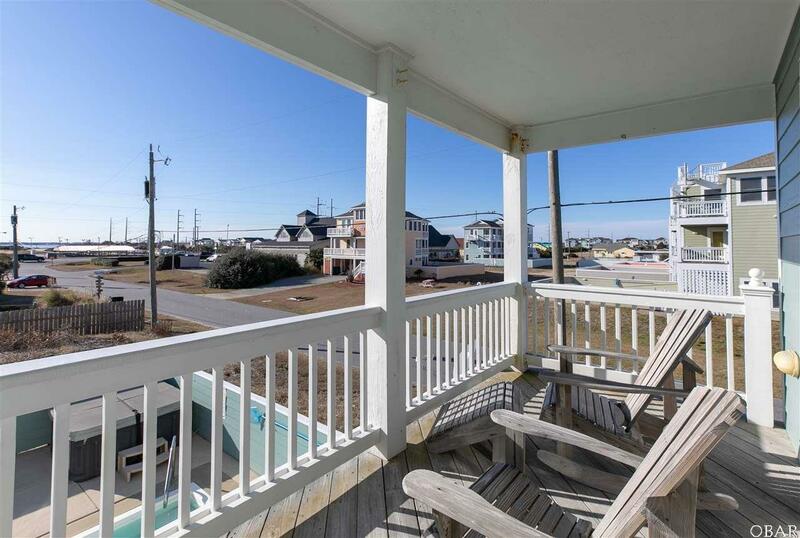 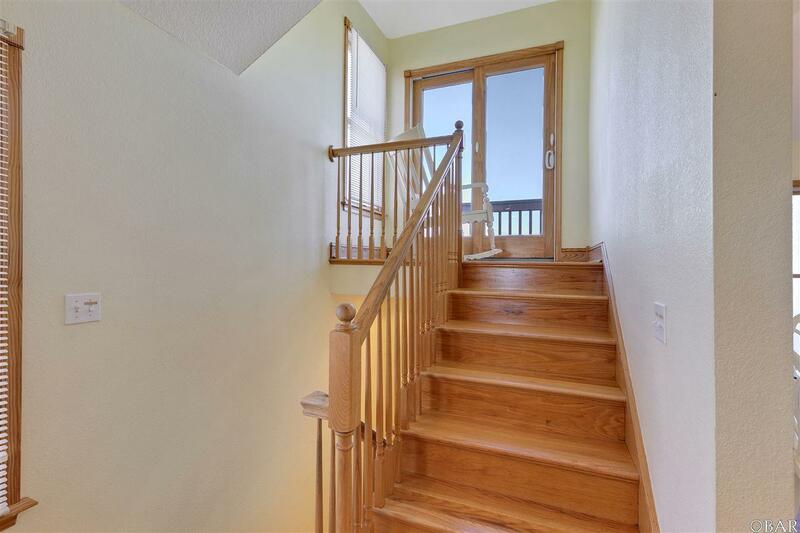 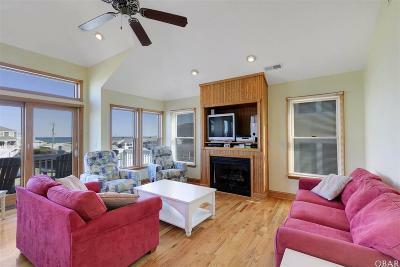 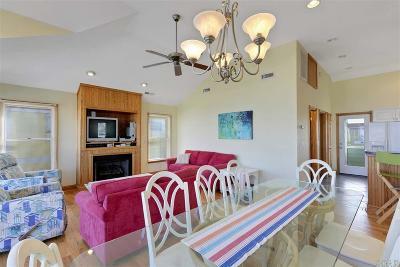 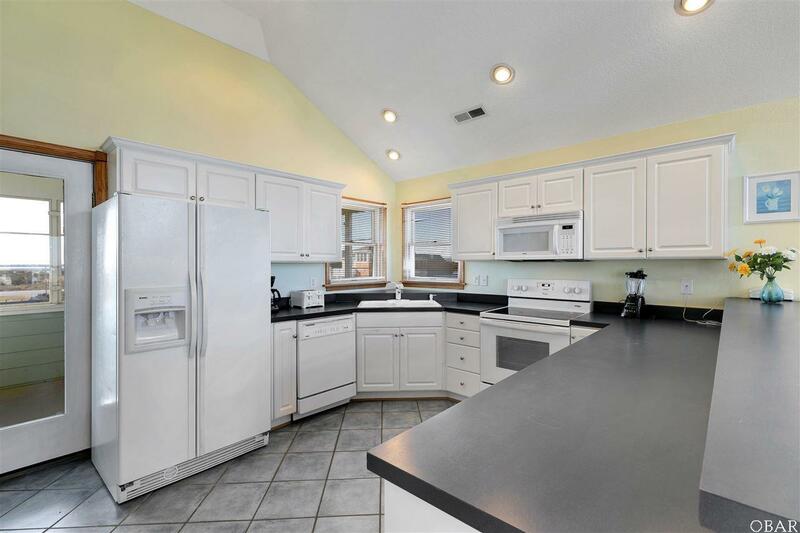 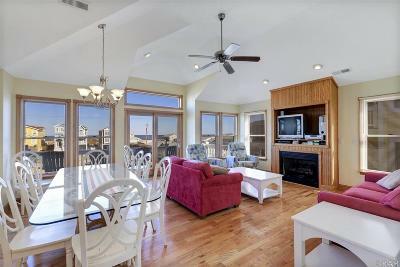 You will also find Sun Decking, Covered Decking, a Screened Porch, Outside Shower and Grill! 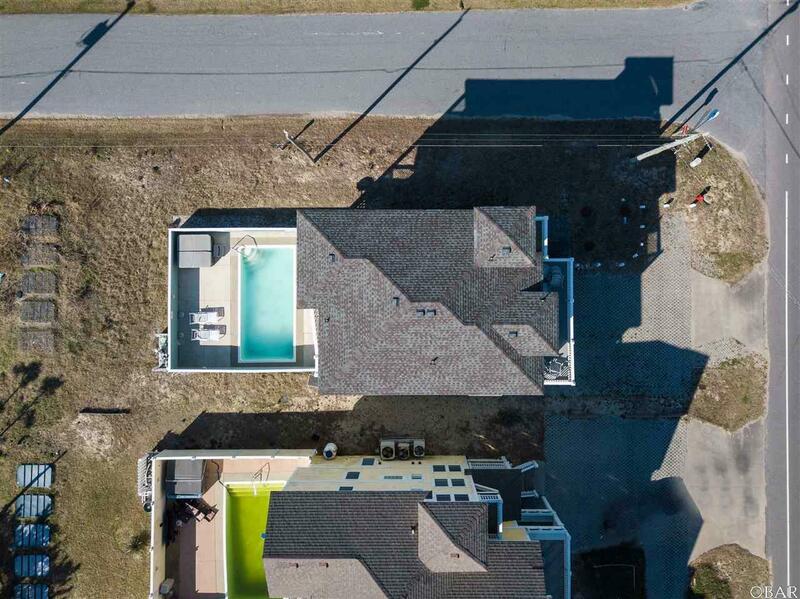 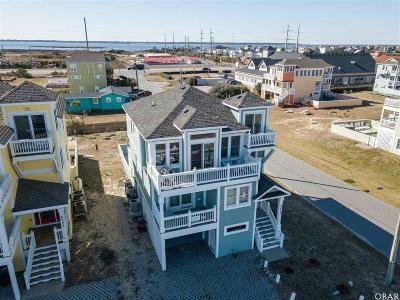 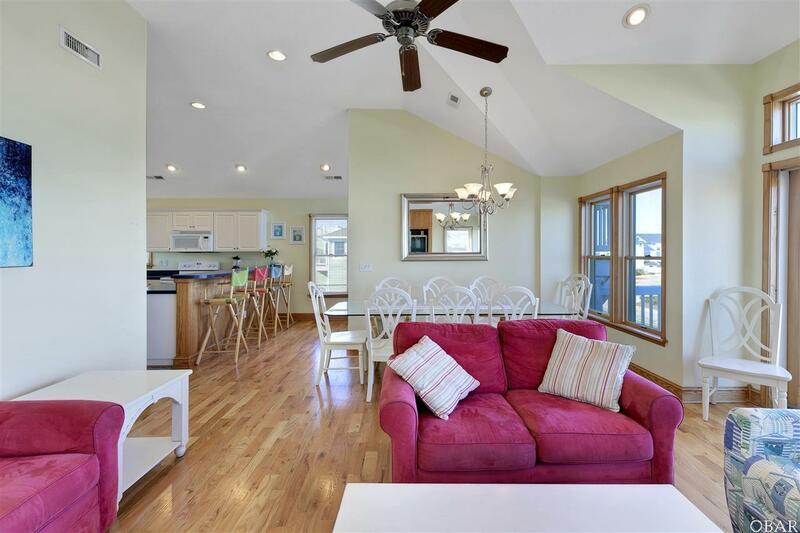 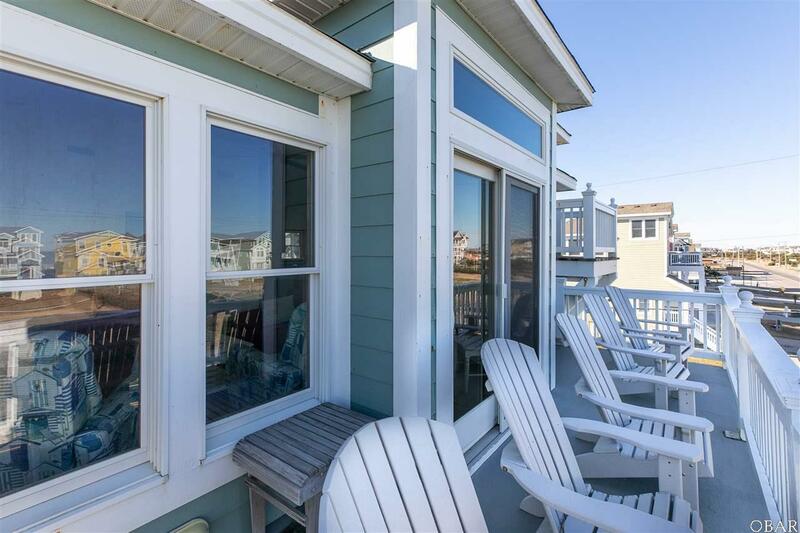 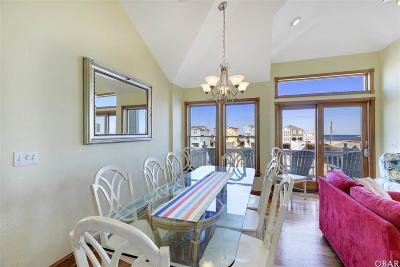 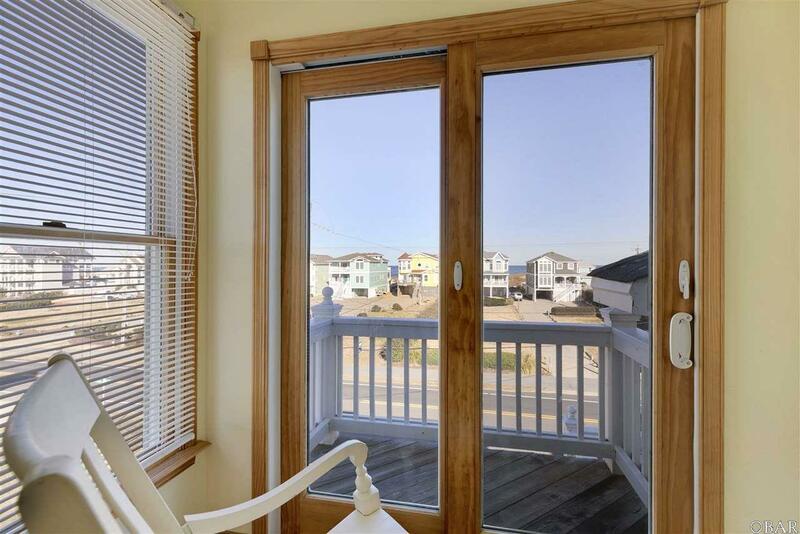 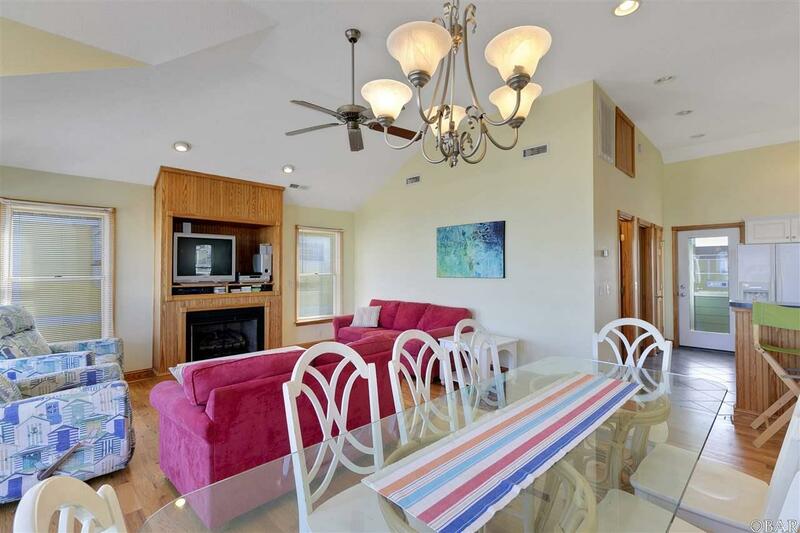 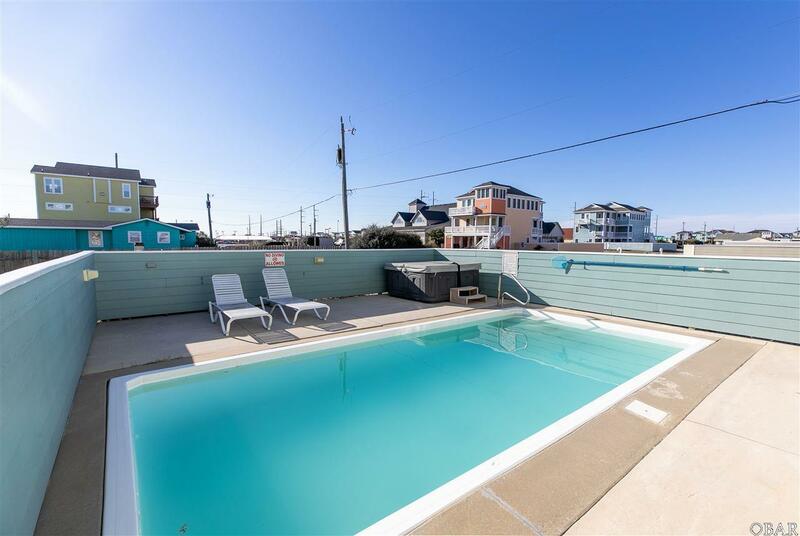 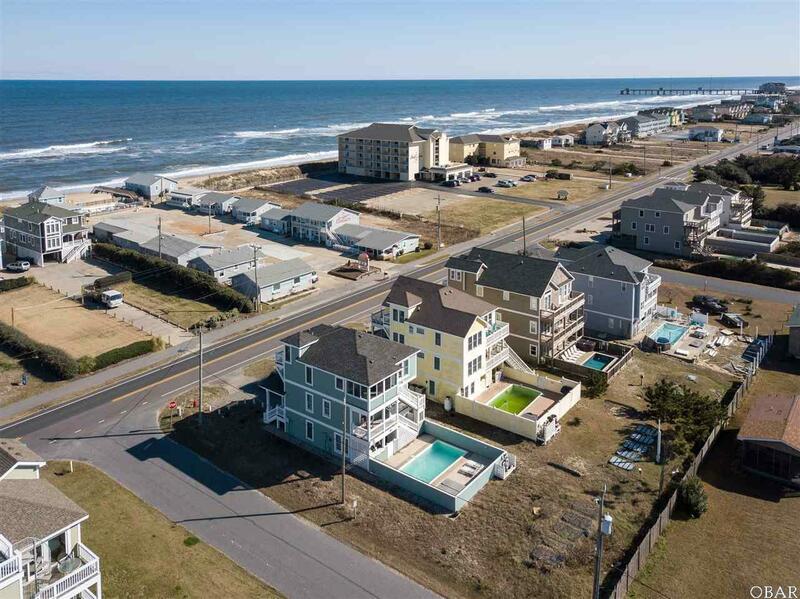 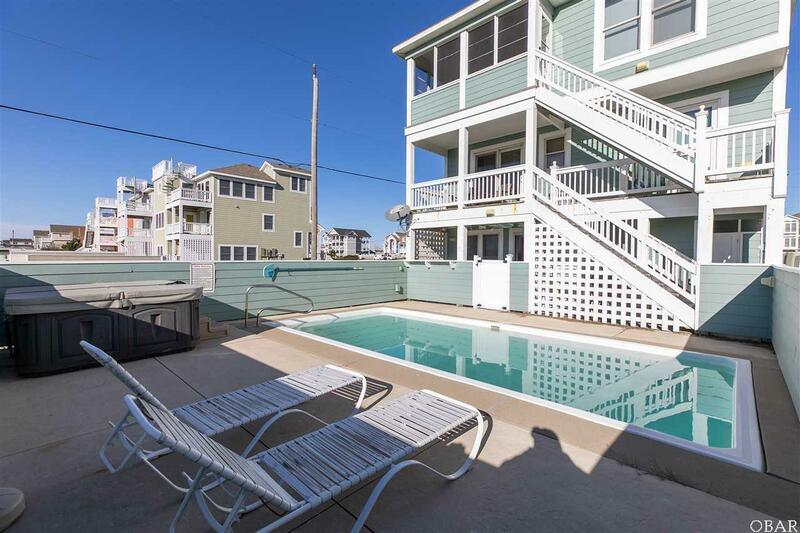 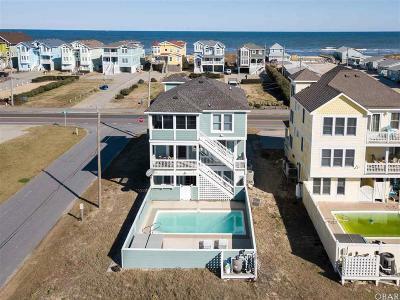 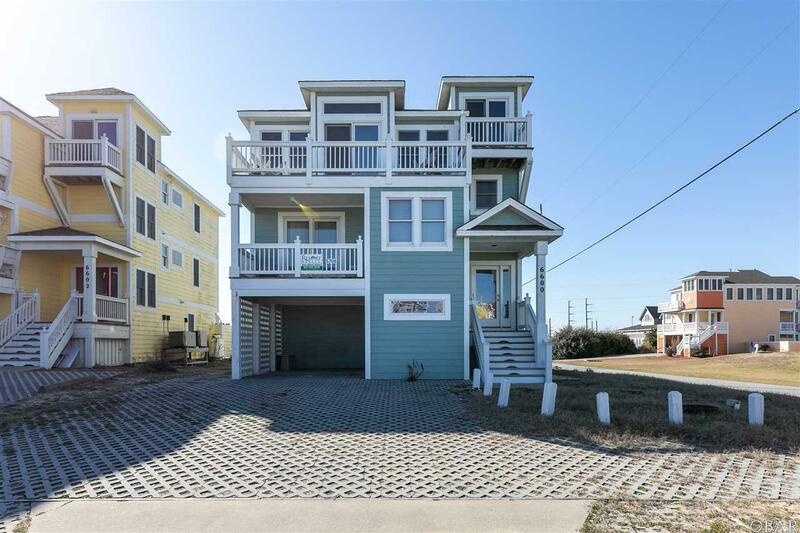 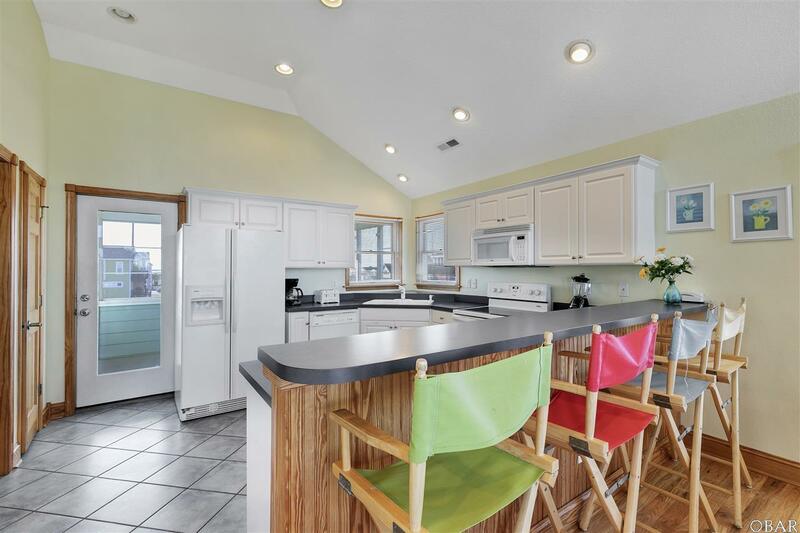 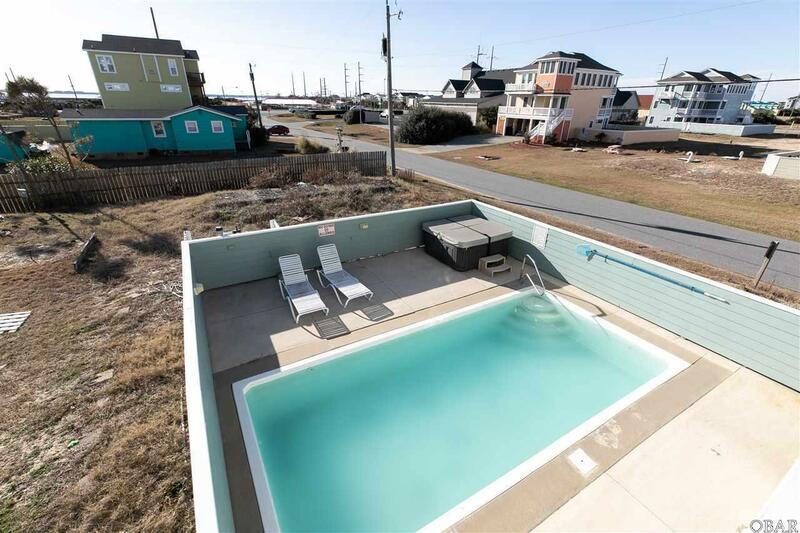 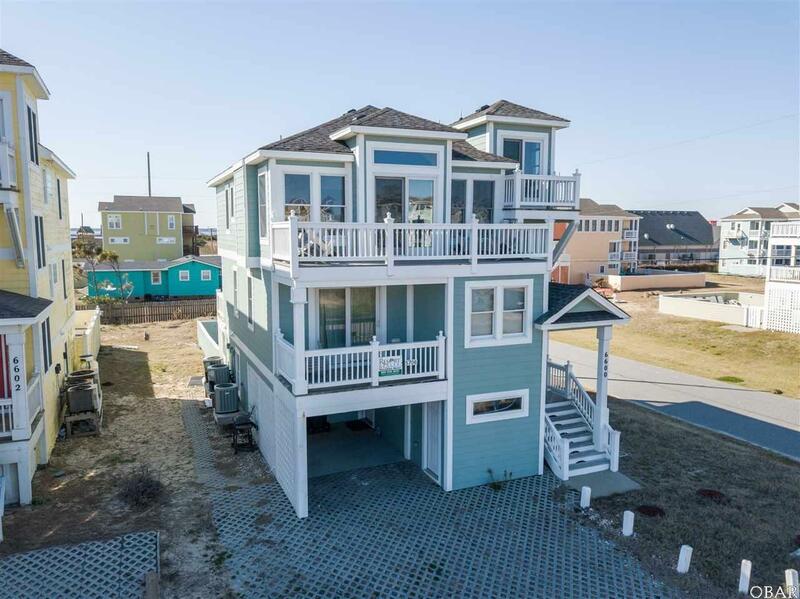 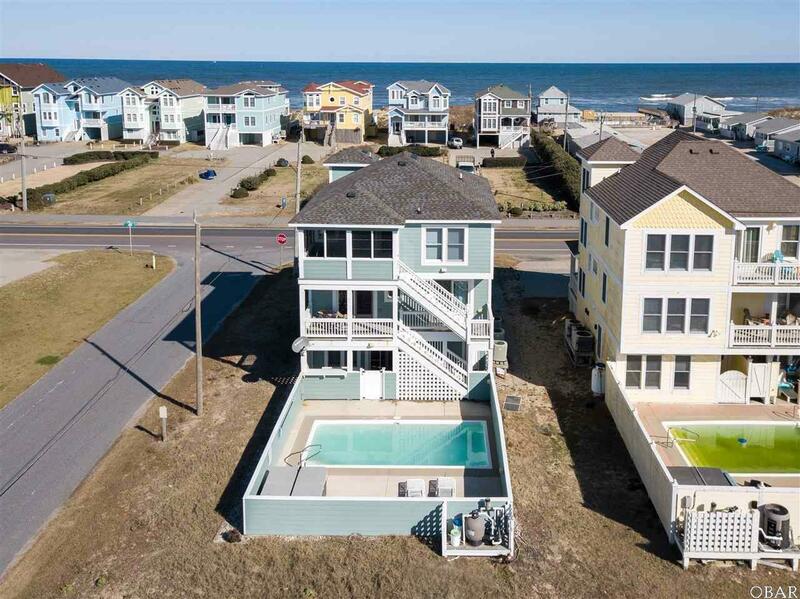 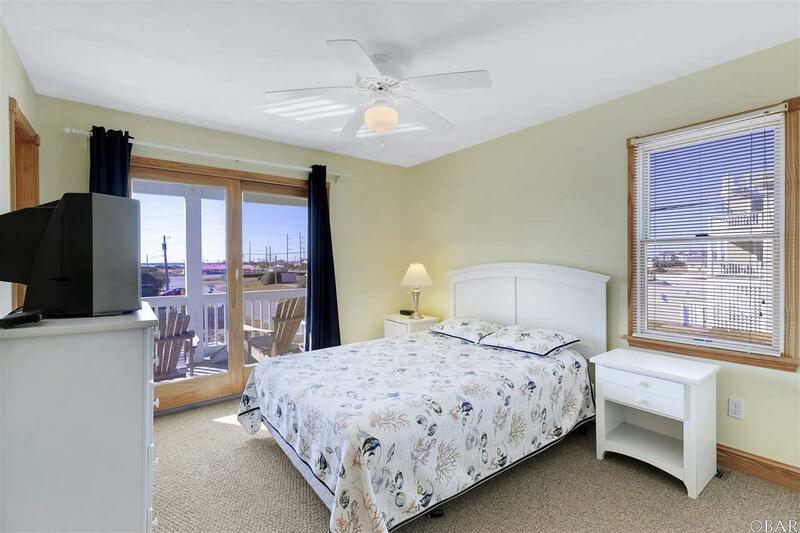 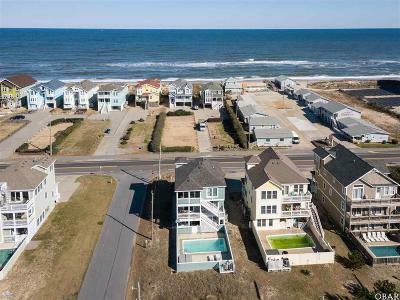 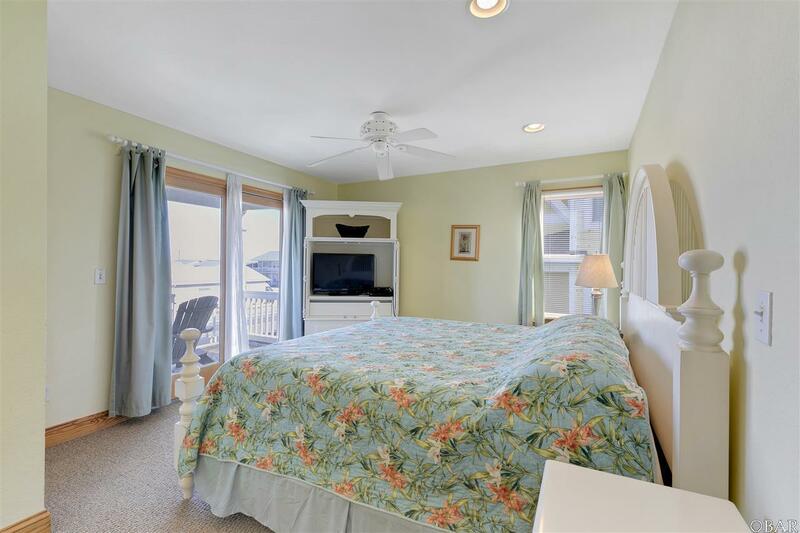 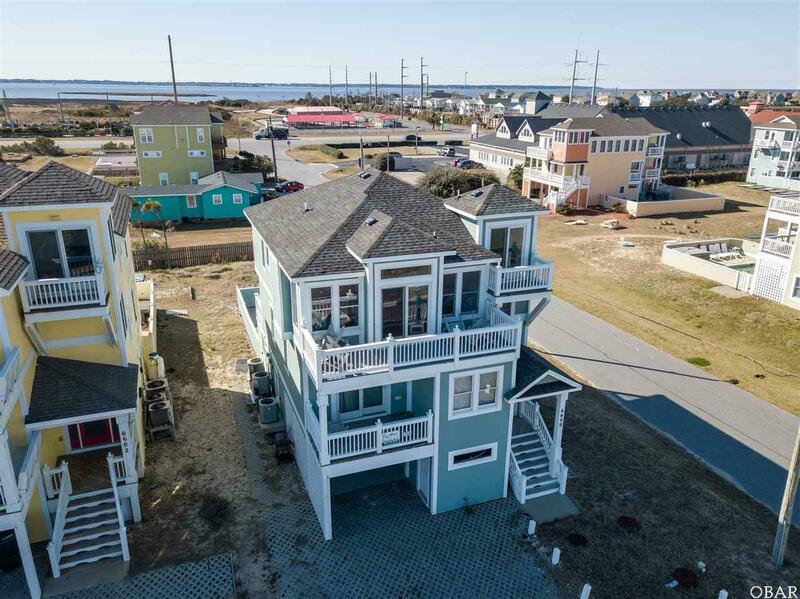 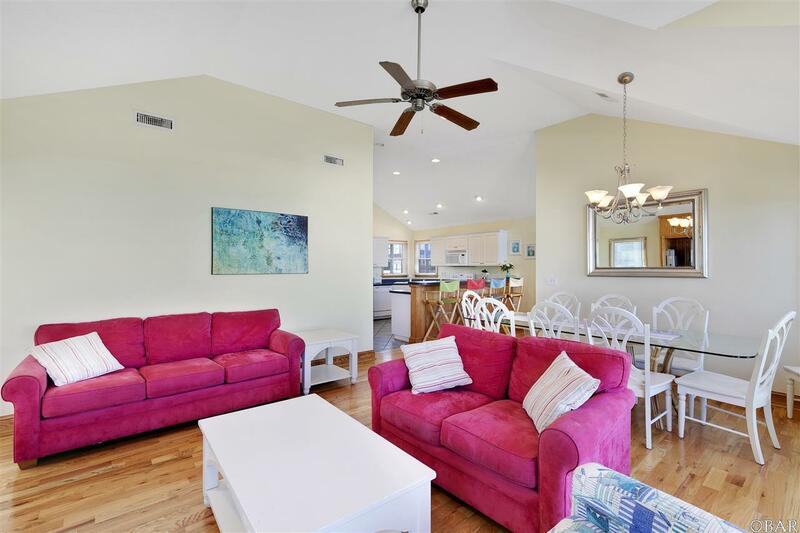 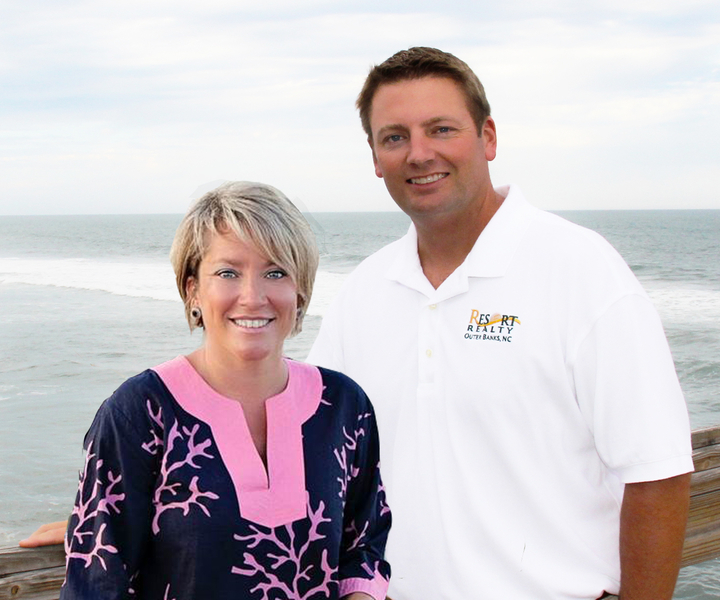 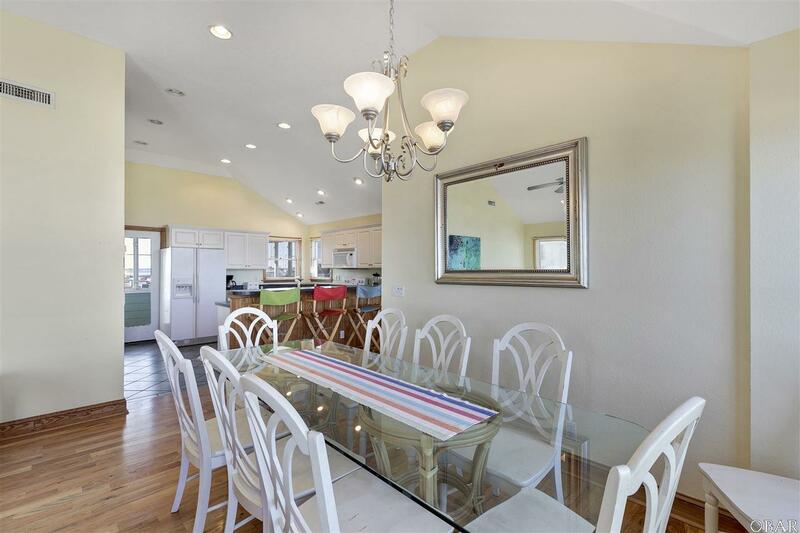 This home is close to many favorite attractions in Nags Head including Jockeys Ridge, the Nags Head Soundside Event Site, Tanger Outlet Mall, Jeanette's Pier, tons of great restaurants, and is just a 15 minute drive to downtown Manteo! Upgrades and Recent Improvements include: NEW Exterior and Decking Paint 2017; NEWLY re-finished Wood Floors 2017; NEW Carpet 2017, NEW Ground level Sofa 2017; 2 NEW recliner chairs 2017; NEW Outdoor Heat Pumps (2) 2015.